Thank you, Longwood Homemakers’ Association! 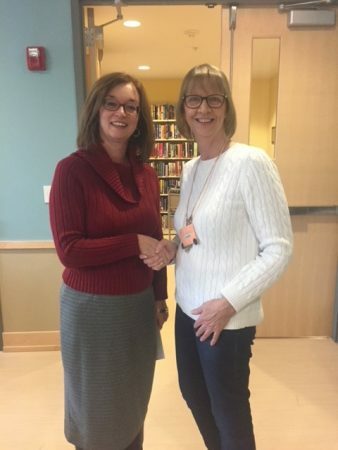 On Wednesday, December 13th, the Longwood Homemakers Association presented a financial donation to Brighter Tomorrows, Inc. during a ceremony at the Longwood Public Library. Pictured are Dolores Kordon, Executive Director of BT, and Linda Bomkrowski of the Longwood Homemakers’ Association. Thank you, LHA, for your generous donation! Every donation Brighter Tomorrows, Inc. receives helps survivors of domestic violence rebuild their lives.